NOTE: During the Magic of Lights event the gate on the hill at the red flag will close to skiers and snowshoers at 3:30pm. Any cars still in the parking lot at 3:30pm will be locked in for the night. DO NOT SKI ON OR NEAR THE LIGHT DISPLAYS OR THEIR ELECTRICAL CORDS. Come ski on our growing network of over 18km of groomed trails for classic and skate-skiing at Wesley Clover Parks, where we are now the resident ski club. Trail improvements happen each season. We ask that you please respect the trails which includes no bicycling (including no fatbiking), walking or snowshoeing on ski trails. The trail from P3 to trail 12 is ungroomed and suitable for snowshoeing, and other snowshoe trails are being mapped out (so you may find some signs and tracks to follow). Dogs are not permitted on any trails. We share our trail network with local wildlife and ask that you avoid approaching or interacting with them. We also share the Parks with the Forest and Nature School, which operates year-round and is located north of the campground area. Classes are run largely outdoors, so please help the school maintain its privacy and security by staying clear of their access road, structures (including their porta-potty), and activities. The public is welcome to get out to ski and enjoy the trails. You can buy a ski day pass for $10.00 or a snowshoe day pass for $5.00; children under 13 are no charge. 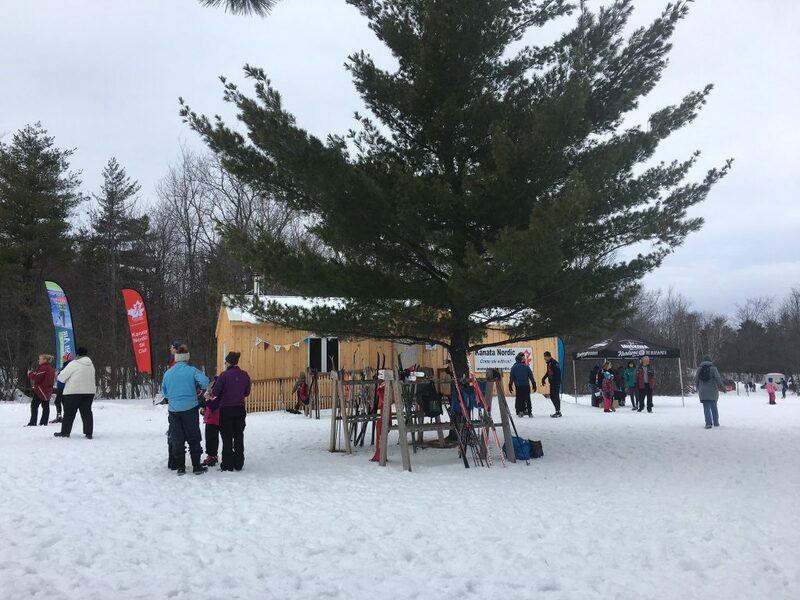 Kanata Nordic members receive a season trail pass as part of their membership to ski the trails as often as they like throughout the season. Day passes can be purchased at either trailhead or you can pre-purchase a day pass online. 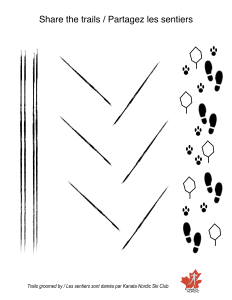 Trails are groomed approximately 3 times per week by volunteer groomers. Trail conditions will vary depending on snowfall and snow conditions. It is recommended that you do not plan your ski on Saturday’s between 1:00 pm – 4:00 pm when lessons take place and there is more limited trail space. 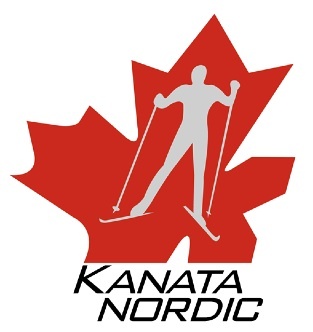 Kanata Nordic doesn’t currently have xc skiing or snowshoe equipment for rent. We hope to in the future. In the meantime, we can recommend the following knowledgeable retailers. We suggest you call ahead to determine availability. Kanata Nordic members receive a discount — ask for it! Please follow and abide by these trail rules and etiquette to help make the trails a safe and fun place for everyone. Trails are not patrolled / Use them at your own risk. 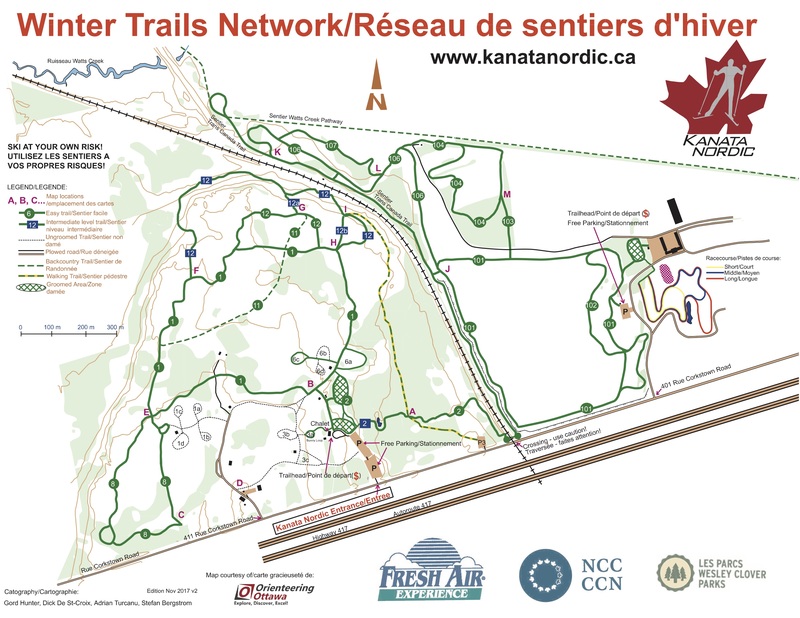 Kanata Nordic trails and open areas are reserved for cross-country skiing or snowshoeing in the winter months. Other activities are not permitted. Please be aware that Wesley Clover Parks has other partners who also run activities outdoors. Trail use requires visible Kanata Nordic pass. Day passes are available at the trailhead for $10.00 / KN Members receive a season pass with their membership. No biking, walking or snowshoeing on the groomed ski trails. Dogs are not permitted on the trails. No skis or poles are allowed inside any of the buildings. All equipment must stay outside on designated racks.